I've been in your shoes. Unsure, stuck, frustrated. In 2011, I had a few qualifications under my belt, HR experience and a strong desire to help people but no idea what to do next career wise! I knew something had to change as I also had a young family to consider. Time with a qualified career coach allowed me to match my career experience and values with a tangible, practical way forward. It opened my mind and made me brave enough to try something different with renewed confidence. I decided to retrain as a career coach feeling energized and determined. I have never looked back. I want this for you..! I achieved a distinction in my MSc in Career Coaching from the University of East London. My completion of this academically rigorous course means you will benefit from having a coach knowledgeable about career theory and research as well as advanced coaching skills, approaches and techniques. In 2017 I returned to UEL as an external marker for the MSc in Applied Positive Psychology and Coaching Psychology and MSc Career Coaching programme. I'm also a course tutor on the core module 'The Practice of Evidence Based Coaching'. Additionally, I have a Graduate Diploma in Psychology from the Open University and a Certificate in Counselling from the University of London (you might have guessed I love learning about and understanding people!). My HR experience spans industries including architecture, advertising, television, education and training allowing me to bring an employer and business perspective to your career coaching. Inspirational coaching stories from the people I’ve working with. I’d love to add yours. Coaching sessions with Charlotte allowed me the time and freedom to talk, reflecting on the past and thinking about the future. As a working Mum this is a luxury, and being able to gain the impartial advice from Charlotte meant I could open up and talk honestly without feeling judged. Charlotte is a warm, personable coach, who asks non-leading questions to help you think about your situation in a new light. If you need some advice, or simply just want to talk to an outside person, I would really recommend Charlotte. Charlotte is an exceptional coach – from our first meeting, she immediately put me at ease and created an environment in which I felt comfortable to explore my thoughts surrounding my career. During our sessions, Charlotte guided me through my ideas, asking challenging questions, reassuring me and helping me to create a structure to my thoughts regarding my next career move. Her understanding, patience and empathetic approach partnered with eclectic coaching tools established a perfect situation in which to build a career plan, tackle professional hurtles and build my confidence. Thanks to Charlotte, I was able to take the professional leap that I had avoided for some time and am happier than ever. I would recommend her to anyone who was looking to embark upon coaching – I’m incredibly grateful for the time that she spent working with me! 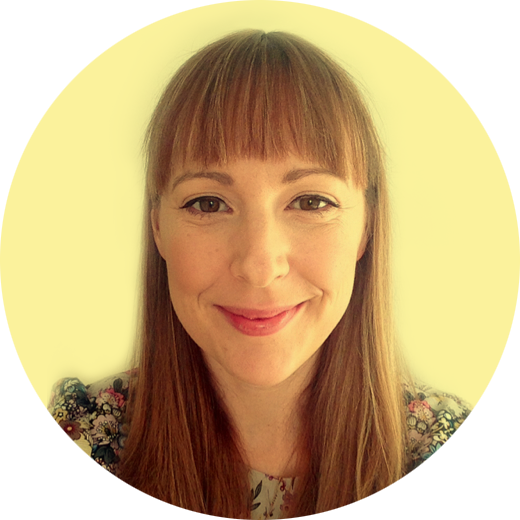 Charlotte is a brilliant coach - a good listener, sounding board and thought starter. She has a special ability to make you think about a situation in a way you may not have done before, and asks pointed questions that eventually lead you toward your own conclusion. She gives alternative context and sometimes plays devil's advocate, both of which are needed when trying to sort through a problem! Charlotte made brilliant suggestions on tools and new ways of thinking for me to use on an on-going basis - some were wellbeing based, some were CBT based, some were just based on her intuition of what would work well for me. All of them worked, so I'm very thankful for her time! I wholly and completely recommend Charlotte for anyone looking for a new perspective on their career and working life.